Design/renovation of an existing church located within the City of Orlando limits. The site was constructed circa 1950 which was for Winn Dixie grocery store. The project consists of renovating the existing buildings keeping as much as possible the old fascade of the buildings, especially the main sanctuary cylindrical building and completely renovate the interior. The site is approximately 1.65 acres and 88% impervious which was 8% less than the existing condition. The project required a couple of variances, one for the impervious surface ration and the other landscape buffer. 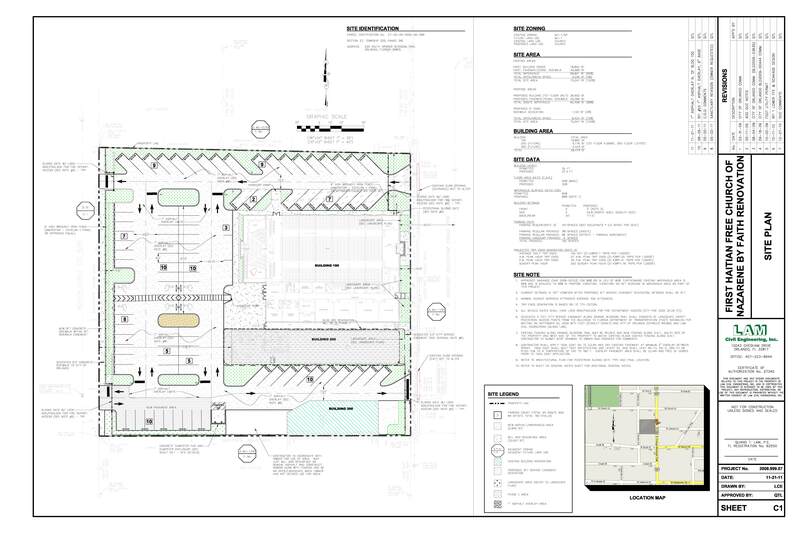 Lam Civil Engineering assisted the Church in the variances process and through downtown architectural review board.